Spirals, Torus, Vector Equilibrium and Bees…oh my! I watched a video online the other night with my husband and I absolutely felt like it was one of those “pay attention, this is important” moments. One thing I have always been intrigued by is all of the patterns in nature. It wasn’t until I was working as the Director of Education for a non-profit called Holcomb Farm Learning Centers, that I realized these patterns had names and they were all based on the golden ratio or phi (1.6180339887…). In simple terms, if you have a rectangle, the closer to phi (1.618…) the long side divided by the short side equals, the more “pleasing” it is to our eyes and the closer it is to that golden ratio. Artists have known this for years…think Mona Lisa. She’s not stunningly beautiful, but we’re all still drawn to her and speak of her beauty. If you draw a rectangle around her face, what do you think the longer side divided by the short side equals…phi. Think of all of the golden rectangles (rectangles based on phi) there are in the Last Supper painting as well. You can even measure your own ratios and see how close to phi you are! This ratio dates back a long time…to the Parthenon and to the pyramids. The easiest way to see it in the pyramids is the phi spiral. 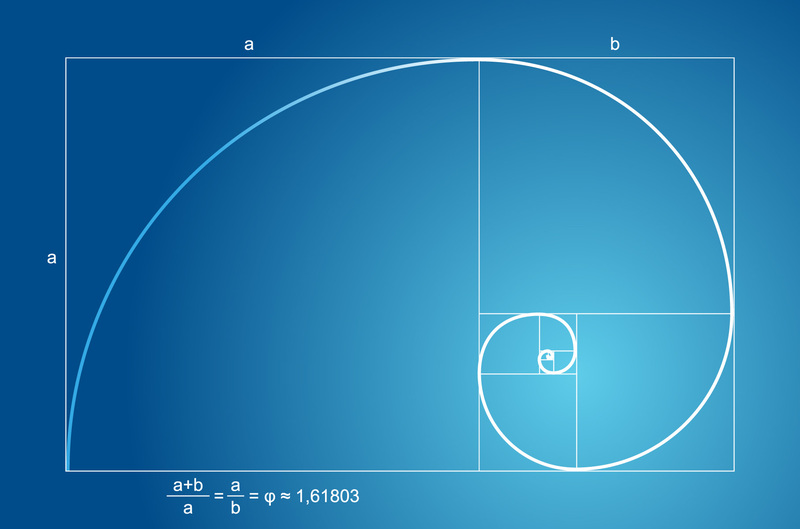 If you start with a golden rectangle and cut it so that you are left with two rectangles, both based on phi, and continue to do so until you get smaller and smaller, you end up with a spiral. The location of the Sphinx and the Great Pyramids lie on a spiral. This spiral may seem familiar to you, which it should. Think pine cones, shells, ram horns, sunflower heads leaves growing up a stem on a plant to most efficiently gather sun, dna, galaxies!!! Of course, all of this is based on math and I should mention that Leonardo Pisano Bigollo (c.1170 – c. 1250) , known as Fibonacci, is the Italian mathematician credited with discovering this pattern when trying to figure out how leaves grown around a stem and how many rabbits will there be if you start 0 and add 1 each month. If you start with 0, there will be 0 rabbits. If you start with 1, there will be 1 rabbit. Then, you will have 3. Then, you will have 5. Then you will have 8. Then you will have 13. Now, divide one number by the one before it. Notice how they oscillate above and under phi. Phi is irrational, so it is an infinite number, just like the more familiar pi (3.14….). 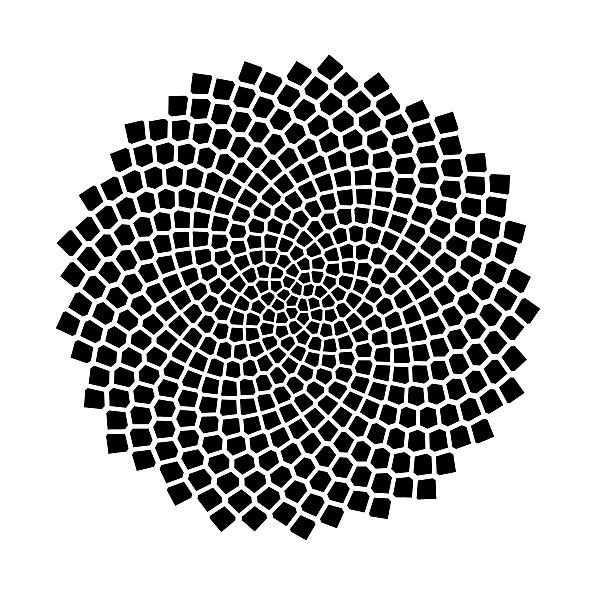 Now, think back to the spirals on the pine cone and try to count how many spirals there are going in one direction and then the other looking from the bottom or spirals on a sunflower. 34 going counter clockwise in the example below and 55 in the other direction…both fibonacci numbers. Check it out the next time you find a pine cone on the ground…it holds true! Most of the ones by me are typically 8 and 5. This is the background information that is in my head as I am watching the video with my husband. 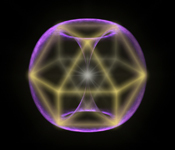 The video does not go over any of this, but talks about the torus…another pattern that seems to be found on the energy side of things on Earth and plays a role in evolving energies. 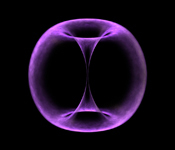 The torus is sort-of donut shaped, where the energy is rising in the center, then spreads out at the top and falls back down, only to start the cycle again. I think of this as the pattern of all life; cycles, reincarnation, ebb and flow, rising and falling, the galaxy expanding where we are located in it…for now. This energy pattern is based on the vector equilibrium. The vector equilibrium, if you look at the yellow perimeter of it above, is a hexagon. At this point, I am even more excited outside of my typical love of patterns in nature because it is related to my beloved bees! The hexagons they build for each cell is a representation of this perfect moment of balance. It is the moment between breaths, no breathing in or breathing out, but the balance in between. The video said that it is hard to see this pattern in nature, (unlike fibonacci or phi) because all life is either moving towards balance or away from it. The moment of balance is unseen and perhaps could be described as unity. As I am sitting here on my porch writing this, one of my hive’s new queen bees is piping. She has not quite taken control of the hive yet as she is not yet mated…the hive is moving towards towards balance…the energy is rising in the torus of the hive. When unity is reached and all things are in order and balance, the hive swarms. It is always rising and falling, expanding then falling back in. Breathing in, breathing out. Just that tiny space of unity between breaths. But it seems to me, that a bee hive is a living, 3D torus with thousands of vector equilibriums inside of it, breathing in and out. I know it may not explain the entire relationship, but it is a tidbit. This post is dedicated to Laura Bee and the CoM.